This follows action by the U.S. Department of Labor (DOL) which announced plans to assist those affected by the California wildfires. 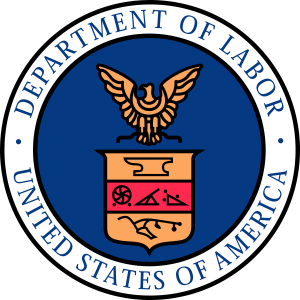 The DOL’s actions include relief efforts by a number of agencies. In a national interest exemption memorandum to all contracting agencies of the federal government, OFCCP Acting Director Craig Leen cited the “special circumstances in the national interest presented by the destruction caused by California Wildfires” as the reason behind the institution of a limited exemption and waiver from some of the requirements of the laws administered by OFCCP. The memorandum applies to new supply and service and construction contracts entered into between November 19, 2018, and February 19, 2019, specifically to provide California wildfire relief. Government agencies are paying out millions of dollars to contractors that violate federal labor laws and affect more than 11,000 workers around the country, according to a new report from the Center for Public Integrity. Examining 1,154 contractors recently investigated by the Department of Labor, the Center for Public Integrity found that between January 2015 and July 2016 federal contracts were modified or granted with 68 contractors with substantive violations, according to an exposé by Talia Buford and Maryam Jameel. Some of the most egregious violators included Sterling Medical Associates (a health care provider for the Department of Veterans Affairs, among other agencies), the Corrections Corporation of America (the nation’s second-largest private prison firm) and Cornell University. In total, these three were flagged for nearly 3,000 violations and had to pay more than $2.4 million in back wages. Contractors will have to report any labor law violations to federal agencies under an executive order signed by President Obama July 31, 2014. 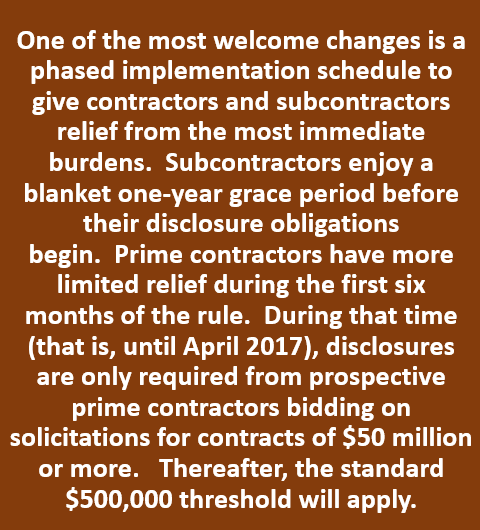 Contractors will need to disclose any labor law violations from the past three years before a contract can be awarded to them. Violations include family and medical leave, collective bargaining and wages. The order would also charge agencies with taking contractor labor law violations into account when awarding contracts. Only contracts valued at more than $500,000 would be affected and the order will be implemented in 2016. The order also lays out rules for agencies and contractors.